Production Studies, The Sequel! is an exciting exploration of the experiences of media workers in local, global, and digital communities—from prop-masters in Germany, Chinese film auteurs, producers of children’s television in Qatar, Italian radio broadcasters, filmmakers in Ethiopia and Nigeria, to seemingly-autonomous Twitterbots. Case studies examine international production cultures across five continents and incorporate a range of media, including film, television, music, social media, promotional media, video games, publishing and public broadcasting. 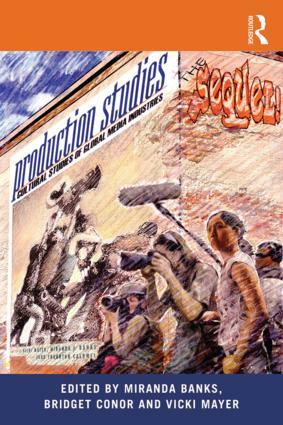 Using the lens of cultural studies to examine media production, Production Studies, The Sequel! takes into account transnational production flows and places production studies in conversation with other major areas of media scholarship including audience studies, media industries, and media history. A follow-up to the successful Production Studies, this collection highlights new and important research in the field, and promises to generate continued discussion about the past, present, and future of production studies.